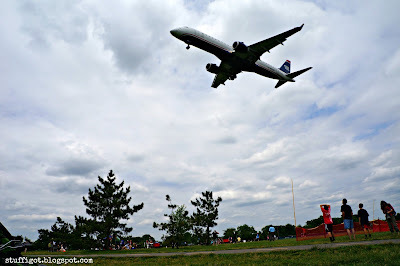 Ever since my oldest kids were little, my husband and I have always talked about taking the kids to Gravelly Point Park to picnic and watch the planes fly overhead. It's taken us over five years, but we finally had the chance to do it a couple weeks ago. 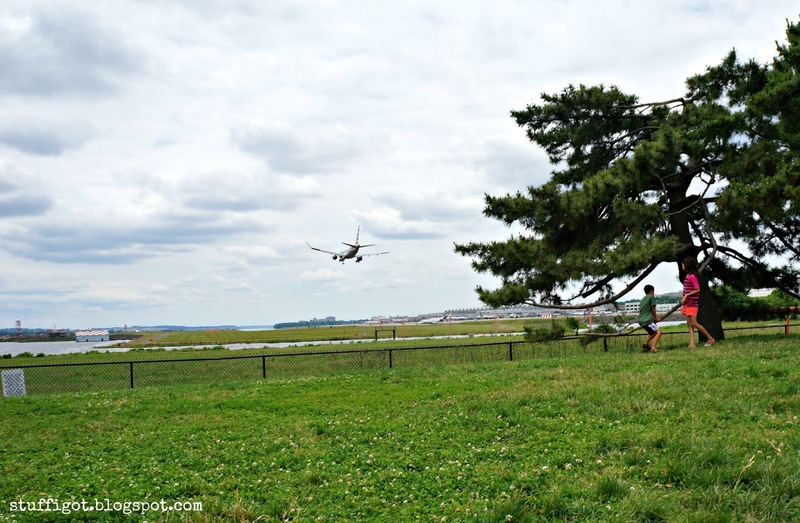 Gravelly Point Park is located in Arlington, VA, off of the George Washington Memorial Parkway. It's located adjacent to Ronald Reagan Washington National Airport, with the airport's runway located just 400 feet away! Depending on the wind direction, you can watch planes take off or land. We visited on a Sunday morning. It was around 11:30 AM and already pretty busy. We ended up parked in the overflow area, on the grass. 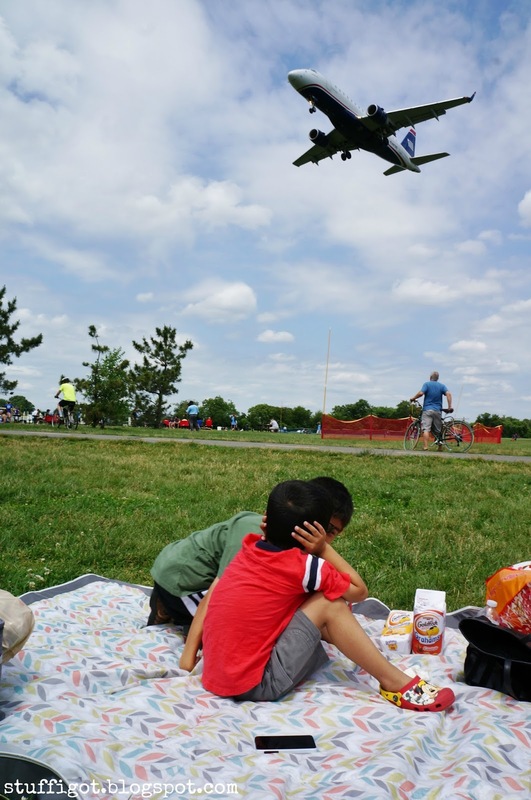 We spread out our picnic blanket near the fence separating the park and the airport. We could see the Potomac River and the Washington Monument in the distance. 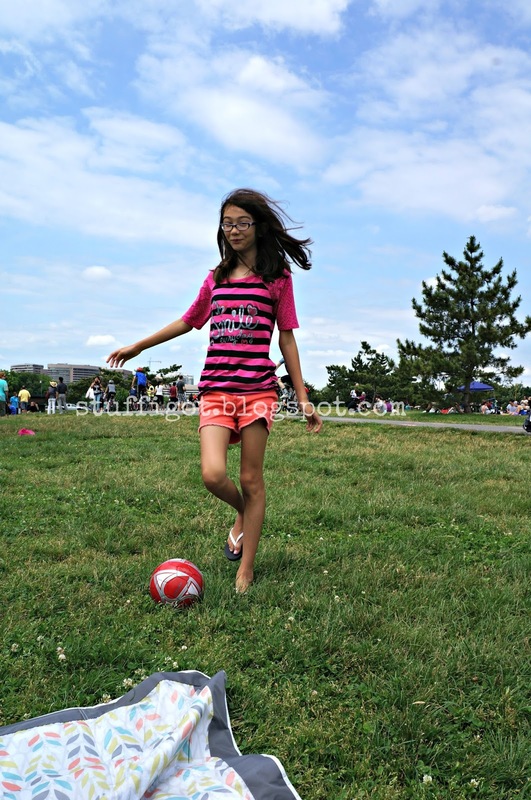 It wasn't long before a plane soared overhead. The planes are really close and loud. My son didn't like it. He kept his ears covered every time he saw a plane coming. 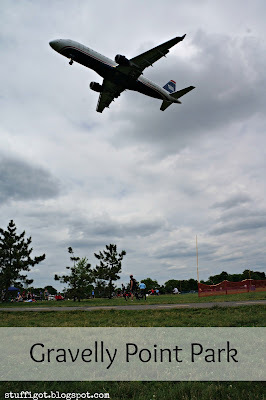 In between watching the planes, we ate the lunch we packed (Wawa subs!) and the kids played with a ball and climbed a tree. 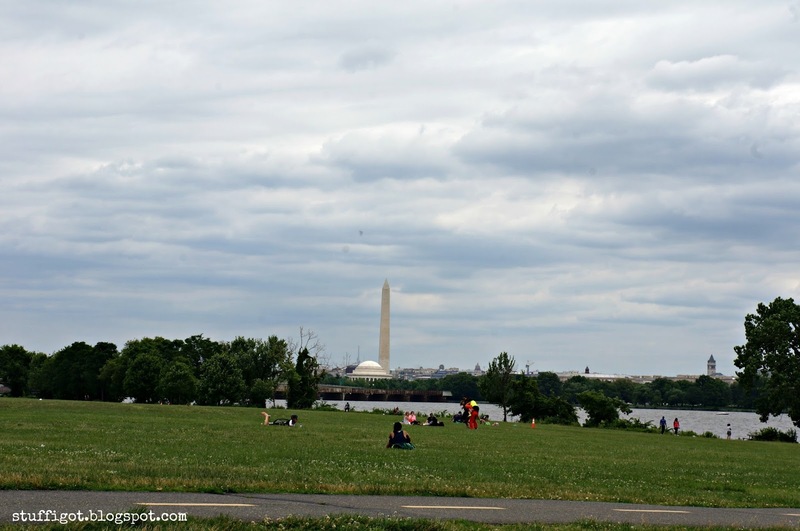 I took pictures and watched the people on the Mount Vernon trail that goes through the park. The kids playing on the tree as a plane flies into National Airport. The kids had a lot of fun. Though, my four-year-old was ready to go after watching a couple planes. He just thought it was too loud. 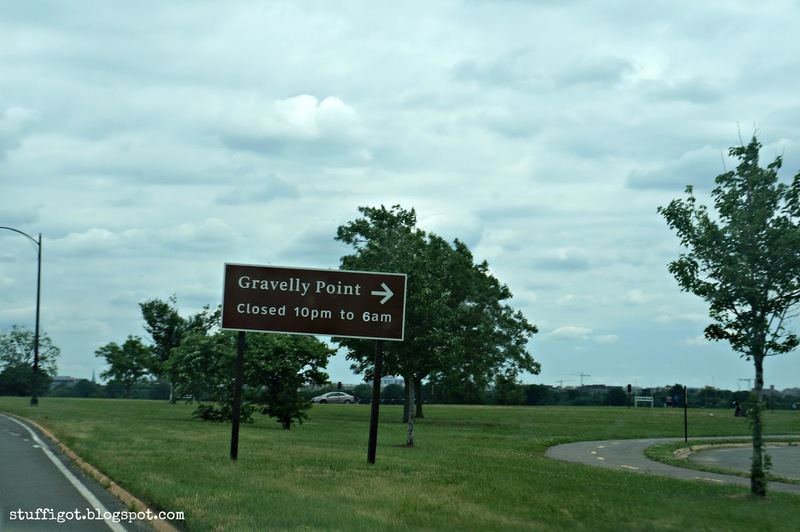 If you're planning to visit, be aware it's only accessible from the northbound side of the George Washington Parkway and is closed from 10 PM to 6 AM. There's no fee for admission.